This is a wonderful time of year to snuggle up with your kids, grandkids or just yourself and immerse yourselves in a good book. As a writer, it is also a great time to create, dream and explore new avenues. Bozeman has several children’s authors whose 2015 Book Launch Party pages are posted on the Society of Children’s Book Writers and Illustrators (SCBWI) website (https://www.scbwi.org/). 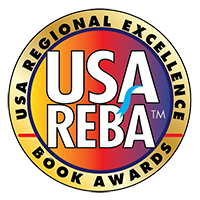 You are invited to visit these pages to discover more about the authors, their books, and their preferred points of sale. If you click on their names and book titles, you will be taken directly to their personal Book Launch Party Page. The first author and book I would like to introduce you to is, Jack Day’s, Gramma and Granpa’s Adventures in Yellowstone National Park, illustrated by Ruth Toth. This fun, creative story about a trip through Yellowstone Park is a beautifully illustrated chapter book that also includes coloring pages. Jack Day moved to Bozeman forty years ago, was a founder of the city youth soccer program, president of the Friends of Montana Public Television and the Intermountain Opera Association. His first published book was Gramma and Granpa and the Three Bears. The next featured Launch Party page is for Kent Davis, author of A Riddle in Ruby. This middle grade novel is packed with adventure, daring heroes and alchemic automatons. This book is a fast paced, lively story about a “thief in training, a pirate’s daughter, living in a world ruled by alchemists who mix magic and science.” Kent Davis is not only a writer, but an actor, game designer and teacher at Montana State University. This next Launch Party page is for a soon-to-be-released middle grade novel by Janet Fox, The Charmed Children of Rookskill Castle. This novel, a historical fantasy set in Scotland is Janet Fox’s fifth book. It will be released in March 2016 and is available for preorder. Her previous titles include Getting Organized Without Losing It (2006), and the young adult novels, Faithful (2010), Forgiven (2011) and Sirens (2012). Janet is a former high school English teacher and a graduate of the MFA/Writing for Children and Young Adults program at Vermont College of Fine Arts. She has served as Montana’s SCBWI Regional Advisor and is active as a writing workshop teacher and leader. 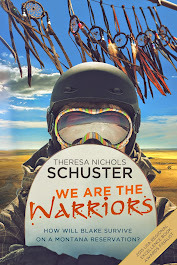 The last Launch Party page featured is for my own young adult novel, We Are the Warriors by Theresa Nichols Schuster, a 2015 USA Regional Excellence Book Award Finalist for the West Region. This novel, set on a fictitious Montana Indian reservation, is the story of Blake Newman, a high school junior who moves to a reservation when his dad is hired as school principal. Blake is forced to face his fears, prejudices and even his deepening love, within a culture different from his own. Theresa lived for thirty years in Wolf Point on the Fort Peck Assiniboine and Sioux Reservation. Her business, TNS Services, provided health education and promotion, for communities, schools and families in northeast Montana. Stay warm, enjoy a good read and watch the snow fall!